The Egyptian collection of the Brooklyn Museum houses many important and well-known objects. This superbly illustrated book looks at the ancient Egyptians’ idea of life after death, a subject which has fascinated visitors to Egypt and to museums for the last two hundred years. The objects illustrated, ranging across the whole span of ancient Egyptian history, are part of an exhibition on the afterlife of the pharaohs and ordinary Egyptian people which answers many of the questions that visitors ask. The exhibition runs until 2nd May this year. Divided into two sections, part one looks at Egyptian funerary beliefs and practices, including mummification, funerals and tombs for the élite. Part two “How much did a coffin cost?” looks at the social and economic aspects of funerary arts in ancient Egypt (and literally does examine and reveal the ancient cost of a coffin, and how the prices, and of course the quality, varied depending on status). The illustrations show the high quality of many of the Brooklyn objects. As with many museum catalogues, this book is much more than just a list of the objects displayed; it is a self-contained and valuable publication, useful as either a souvenir for anyone who visited the exhibition, or a stand-alone book on a specific and fascinating subject. It is a book that anyone (scholar, enthusiast or those new to the subject) can enjoy – be it a brief flit-through to enjoy the images and their detailed captions or a more in-depth read of the well-written, concise and informative text. Published by Brooklyn Museum/ D. Giles Ltd. London, 2008. ISBN 978 1 904832 52 2. 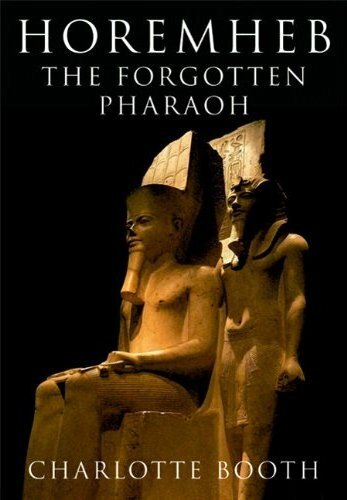 As the title of this new biography indicates, Horemheb is indeed a forgotten pharaoh to many. He ruled at a pivotal time in the New Kingdom, resolving problems in the aftermath of the Amarna period and having a profound impact on the first pharaohs of the Nineteenth Dynasty who ruled after him. Writing about this period is always fraught with difficulties, as there are so many unknowns, such as whether there was a co-regency between Amenhotep III and Akhenaten. In this and other areas where there are either gaps in our knowledge or different interpretations of the few facts, the author presents the various options for the reader’s consideration. Lack of hard facts makes it especially difficult to write about Horemheb’s early years, for example, but information on the training and role of a scribe and soldier adds useful meat to he bones of the story. This makes for an easy and logical read, telling the story of Horemheb’s journey from minor official to pharaoh, a journey made by few pharaohs as most were born to the role. There are many publications covering the reigns of Akhenaten and Tutankhamun that touch on the reign of Horemheb, but this book is a most welcome addition to these, looking at one of the most studied periods of New Kingdom history from Horemheb’s viewpoint. Easy to read, this is a classic story of ‘rags to riches’ with the complexities of religious upheavals and internal and international conflicts. There are many snippets of information that I have not encountered before, but which the author’s fascination with the subject caused her to search out. I especially liked the mention of the occasion Horemheb was called upon to calm down the king (Tutankhamun) “when he had fallen into a rage”. Was this the very young king having a childish tantrum and was Horemheb the only person who was close enough to the young boy able to pacify him? Little facts like this add so much to the way we may view both Tutankhamun and Horemheb, whilst the wider view of Horemheb as pharaoh puts his reign in focus and demonstrates how fundamental he was to the shaping of Egypt’s history. The book has a good bibliography and is illustrated, although some of the line drawings of reliefs do not do full justice to the quality of the originals and a few of the photographs are out of focus. This is a shame in what is otherwise an excellent book and it should not put off anyone who has an interest in this period from adding this volume to their collection of books on the end of the Eighteenth Dynasty. Published by Amberley Publishing, 2009. ISBN 978 1 84868 687 8. This novel is the sequel to Napoleon’s Pyramids, reviewed in AE in the August/September 2007 issue. 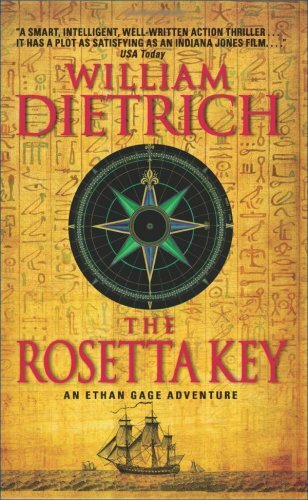 The hero of the book, Ethan Gage, is back, pursued into the Holy Land by those seeking the ancient papyrus in his possession. Set firmly in 1799 the story is woven around historical facts and the author includes a brief historical note to help separate fact from fiction. Although a sequel, this volume is intended to, and does, stand alone (an important fact, for if you have read the first volume it may well have been a year or more ago, and like me you may have forgotten the details of and the characters in that story). Historical novels are a good way of bringing the past to life in a way that non-fiction can rarely do well, and this new book will be a delight to anyone interested in this period of Napoleonic history. Published by Harper Collins, 2008. ISBN 978 0 06 123955 7. 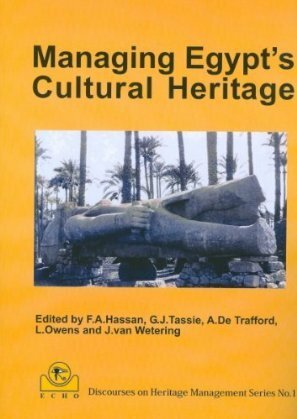 This volume is the published proceedings for the First Egyptian Cultural Heritage Organisation Conference on Egyptian Cultural Heritage Management, with papers written by specialists, including Okasha El-Daly, Fekri A. Hassan, Nigel J. Hetherington, Selima Ikram, Janet Johnstone, Stephen Quirke and Geoffrey John Tassie. In a country almost full of cultural heritage sites, their conservation, preservation and site management is a huge problem and one being addressed not just by Egypt but by the many institutions and organisations working in Egypt. ‘Cultural heritage’ also extends to Egyptian antiquities outside Egypt in museums, large and small, around the world. The papers cover many areas of cultural heritage management, which range from the use of cutting edge technology to simple conservation measures. The time-span ranges from the Predynastic to the Coptic and Islamic periods. Subjects are wide-ranging, too, and include: the impact of the salvage of the Nubian temples; making the Egyptian Museum more commercial and visitor-friendly; the restoration if Islamic buildings in Cairo; the problems of modern encroachment on archaeological sites; and the examination, care and curation of Egyptian mummies. Some of the chapters may make slightly depressing reading, insofar as they spell out the dangers to the monuments, but the good news has to be that someone is actually looking at the problems, solutions are being found and action taken. This volume is an invaluable publication for anyone in the field of heritage management and conservation, and for archaeologists, Egyptology lecturers or anyone interested in preserving Egypt’s cultural and natural heritage. To understand Dynastic Egypt fully, it is essential to look further back in time at the origins of the culture. The author here picks up the story around 8,000 BC when Egyptians first began farming wheat and barley and continues until the end of the Old Kingdom, when the weak central government caused the country to fall into some disorder. This is a time when the culture became more complex with the passing of the centuries and where the fundamental ideas about the Egyptian state, government and religion were formed. The evidence comes from the archaeological and anthropological sources and this work also compares Egypt with the experience and development of other early civilisations that developed in various parts of the world. 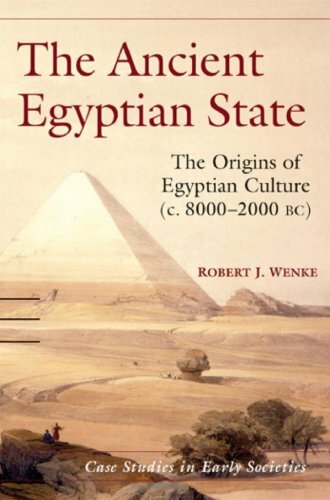 This is a book intended for use in undergraduate and graduate courses on early civilisations and states, but as it is written in an accessible style, there is much here to interest and inform anyone interested in the development of ancient Egypt. Published by Cambridge University Press, 2009. ISBN 978 0 521 57487 7. All too often, ancient Egypt is looked at in isolation, but this new publication looks at Egypt’s long-term relationship with Cyprus from 3,000 BC until the end of the ancient Egyptian civilisation. Although separated geographically by sea and with contact between the two countries only possible by ship, it is clear, as this book shows, that there is tangible evidence for the movement of goods, people and ideas between the two countries. 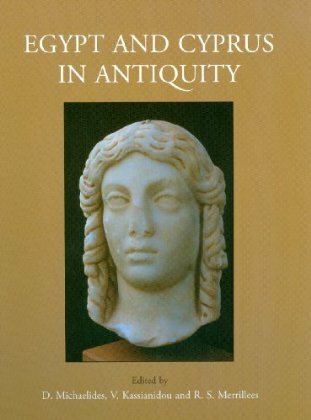 This volume comprises papers written by a variety of experts in their individual fields, presented at an international archaeological conference with the same title. The contents will be of particular interest to anyone studying Egypt’s relations with its near neighbours and of course to those interested in the history of Cyprus, whose relationship with Egypt has perhaps not been examined in as much detail before. Published by Oxbow Books, 2009. ISBN 978 1 84217 339 8. I mentioned this new book in the last issue of the magazine, as Zahi Hawass visited London for its launch last December. The Egyptian Museum in Cairo is a treasure house of antiquities and there have been many books published on the collection. This is in effect a personal tour of the Museum by Zahi Hawass, looking at many of the key pieces in the collection, which will be known to many, but also at others that are his favourites. These include the justly famous statue of Khafra, the mask of Tutankhamun and some Old Kingdom statues found by him at Giza. 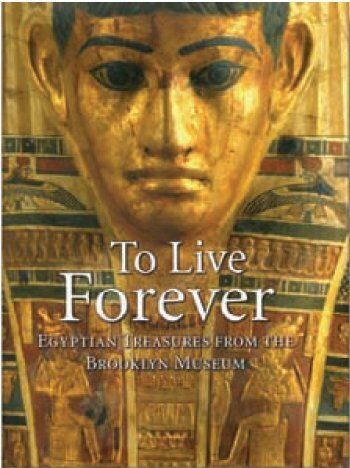 This may well be one of the last books published on the Egyptian Museum as we know it today, for, as the author explains in the opening chapter on the history and future of the Museum, many of the most important pieces will be leaving it in coming years, to be housed in new museums. The most important pieces of sculpture and the whole of the Tutankhamun collection will move to the new Grand Egyptian Museum at Giza and other items, such as the royal mummies, will soon be moving to the new National Museum of Egyptian Civilisation at Fustat in Old Cairo. The ‘tour’ of the Museum follows the route that most tourists follow, progressing chronologically around the ground floor, which houses the sculpture, and then to the first floor where funerary and domestic items are displayed along with, of course, the Tutankhamun treasures and jewellery. Chapters describing the ground floor displays are chronological, each with a brief historical introduction. 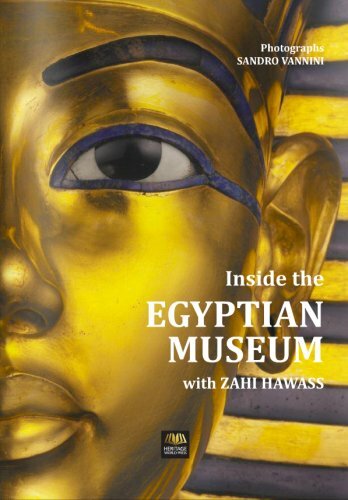 The chapters describing the upper floor are divided into specific displays and include the collection from the Tomb of Yuya and Thuya, the Tanis treasures, the royal mummies (though sadly not all the mummies mentioned are illustrated), the Tutankhamun collection, and the jewellery room. Each object illustrated has a concise description, including when and where it was found, occasionally with some more personal comments from the author. I was especially interested in his comments on the well-known ivory figure of Khufu, which he believes is a Twenty-sixth Dynasty copy of an Old Kingdom original. The book is profusely illustrated with new photos, although all the objects are placed on a black background, which does make a few of the images seem a little dark. However, it is always a delight to see such good photos of well known objects, along with photos of lesser-known pieces too. Unlike those in many recent publications, the photos are not over-enlarged and are contained, for the most part, in one page, which I think is more satisfactory. Photos over two pages often don’t work because of the centre fold of the book and whilst over-large photos can show the fine detail they also display the flaws in an object. There is, I think, a good argument for most photos to be no more than life-sized. Anyone who has visited the Museum will find this book a welcome reminder/souvenir of the great objects contained within its walls. The book is perhaps a little large to use as a guidebook in the museum, but it is ideal to read before any visit and certainly one which can be dipped into and enjoyed at any time. Published by Heritage World Press, 2009. Relatively few books have looked exclusively at ancient Egyptian domestic architecture in detail, possibly because only a few sites have survived and have been studied. As the author shows in this book, the study of the domestic architecture of a society can help to reveal much about the everyday life of its inhabitants. The spaces in houses are significant in that they can show where and how people lived and interacted, and enable us to to understand the structure and function of an ancient Egyptian family. The amount of space available can influence the relationships developed among the people living under the same roof. Early studies of ancient Egyptian towns were possibly more concerned with town planning, architectural design, or literary sources, but here the author puts the people back, the reason for the existence of the towns and cities in the first place. By looking at the various house plans it is possible to establish what the ancient Egyptians wanted and needed from their property in a room-by-room analysis of the domestic architecture. 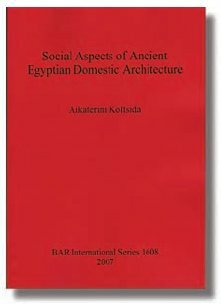 This book, written for the student or those especially interested in this aspect of ancient Egyptian history is a really useful and enlightening publication that looks at and explains the function and use of a domestic unit and the everyday life of its occupants. Illustrated with line drawings and plans and a few archive photographs, and with a huge bibliography, this should be the first book to refer to for anyone who wants to learn more about the subject. ISBN 978 1 4073 0025 2. The British Museum Press has published many books designed especially for children based on the Museum’s extensive collections. This book is a really great way for younger readers to start to learn about ancient Egypt, with one hundred and fifty special stickers, all photos of ancient Egyptian objects in the collection of the British Museum, ready to be detached and re-affixed to the pages of the book. The stickers can be attached to five special galleries, such as “Life and Work in Egypt” or “Egyptian Mummies”, where, if the stickers are of course stuck in the correct place, there are short but good descriptions of the objects and some useful background information. 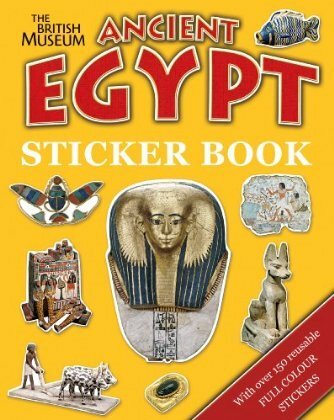 With some duplicate stickers, too, readers are encouraged to create their own special Egyptian gallery of their favourite objects. The good thing is that the stickers can be peeled off and used again; with many such books, once you have stuck the stickers, then that is it! There are hours of fun to be had here for children and their accompanying adults and now that Ancient Egypt is taught as part of the standard curriculum at primary schools in the UK, it will make an ideal gift to anyone of the right age. Published by the British Museum Press, 2009. ISBN 978 0 7141 3137 5. Published by Legend Records, 2009. Available from www.legendrecords.co.uk Price £10 + p&p. More than thirty years ago, two LPs – Mandalaband I and II – were released by Chrysalis Records. And now, after years of silence, a new album has appeared. Some of the original musicians from the first incarnation are still in the band, but here are joined by several new members. There is one name on the cover that will be familiar to readers of AE – David Rohl, who wrote many of the songs, plays keyboards and even tackles the lead vocals on many of the tracks. In fact David was the sound engineer and producer of this new album, having spent twenty years working in the music industry before gaining his Egyptology and ancient history degree from University College London in the 1980s. The new Mandalaband album introduces listeners to many of the legendary heroes from the ancient world, such as Nimrod, Hammurabi, Solomon, Agamemnon, and Dido and Aeneas. Not surprisingly, figures from ancient Egypt appear too. David will be well known to many for his books on ancient Egypt, in particular for his questioning of the accepted ancient Egyptian chronology, as well as for his many TV appearances and the popular lectures he has given all over the UK and abroad throughout the past two decades. David has an extensive knowledge of the ancient world, and of Egypt in particular, which shows in the songs. The ‘Egyptian’ track ‘Shemsu-Har’ features words from the Pyramid Texts and the Book of the Dead, impressively incanted by David in ancient Egyptian. ‘The Sons of Anak’ refers to the Exodus (with, interestingly, David mentioning a king he calls Tutimaos [Dudimose] as the pharaoh of the Exodus, which I suspect is a bit of his ‘New Chronology’ creeping in!) Other tracks are ‘Aten’, with words from the famous Hymn to the Sun and ‘Ozymandias’, about the accomplishments of Rameses II. That’s the historical information, but what about the music? Well music can be an intensely personal thing and difficult to describe in words … you have to hear it! This is, as the album notes say, an “unashamedly ‘symphonic’ rock album” with rich orchestrations and majestic, melodic themes, combined with touches of Celtic folk music and “ambient atmosphere”. Listening to the album, I am reminded, in places, of music by the Moody Blues, Mike Oldfield and the Alan Parson’s Project. But BC – Ancestors stands out in its own right and I really enjoyed the CD. I suspect many readers of AE might too, though it is not an album you are likely to come across in the high street shops. 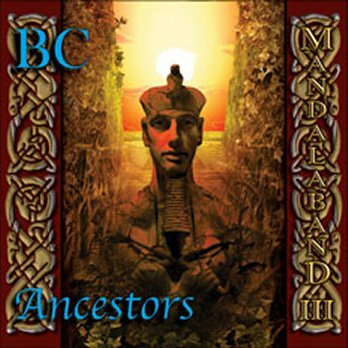 BC – Ancestors can be ordered directly from Legend Records via their web site, and you can listen to some of the band’s songs online, too, at www.mandalaband.co.uk .